Welcome to the TechLog internet presence. 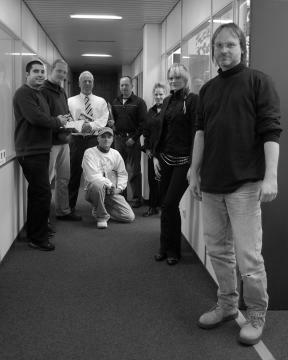 TechLog Duesseldorf is the enterprise for software development and quality assurance with over 10 years of experience. TechLog attends business adventures at software development projects with specific management tools and quality management (SQA). Our specialists pay attention in methodical and professional development of your software to readyness for marketing. We enable to exist in turbulent and fast moving market enviroment and help to develop your software project just on demand. In line with a compact consultation we will find your optimized solution for professional planning, monitoring or realization and quality assurance for your software development project and its milestones. We would be pleased to recieve your application. Your TechLog development- and testing-team.